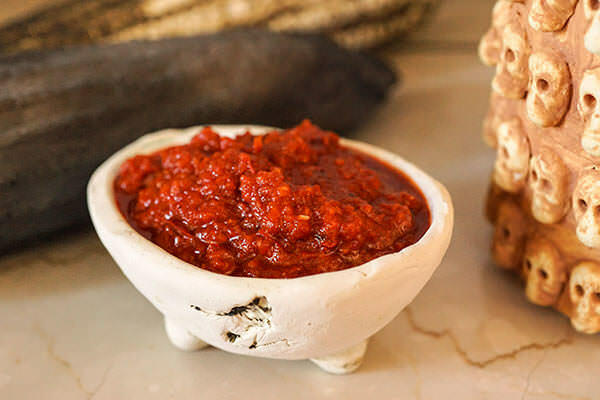 Crispina makes this salsa on a metate made of volcanic stone to make silky smooth sauce. 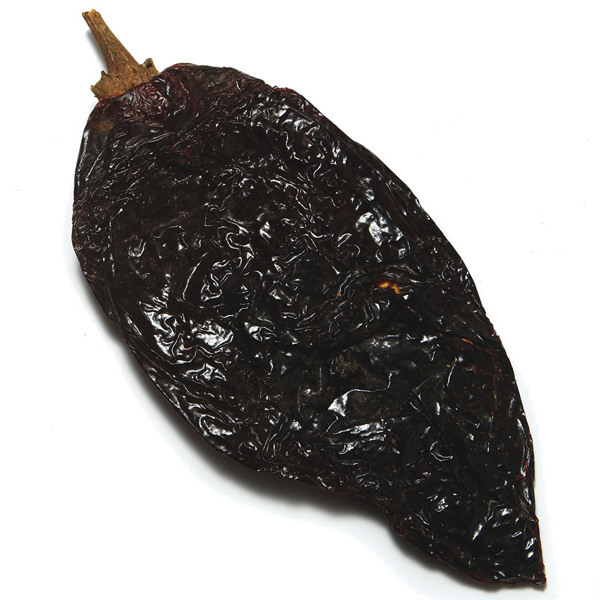 Guajillo chilies have a tough skin that only a metate can reduce to a fine purée. We improvised by using a food processor and passing the salsa through a sieve. The result is perfectly acceptable and quicker than grinding it all by hand. Hoja santa leaves are extremely difficult to find outside of Mexico. They have a fresh and anise-like taste. You can substitue with dry aniseed or simply omit them from the recipe. Dried shrimp are available at Asian food stores. Grill the chilies in a dry pan over medium heat. Seed them and place in a bowl covered with boiling water for 15-20 minutes. Grill the garlic, peels on, until they are beginning to brown and can peel easily (about 5 minutes). Grill the hoja santa leaves and dried shrimp for 30 seconds. 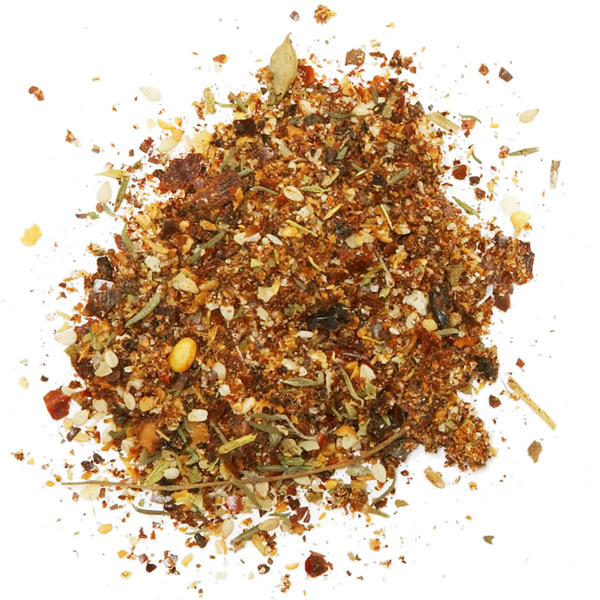 Place the seeded chilies, peeled garlic and other ingredients in a food processor. Grind them, occasionally scraping with a spatula, until salsa has the consistency of a pesto (3-4 minutes). Using a spatula, filter through a sieve or colander. 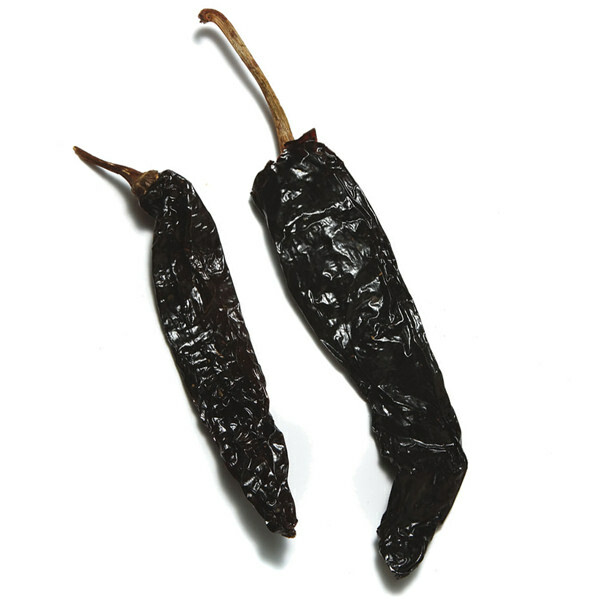 This salsa keeps for 8-10 days in the fridge and freezes well.